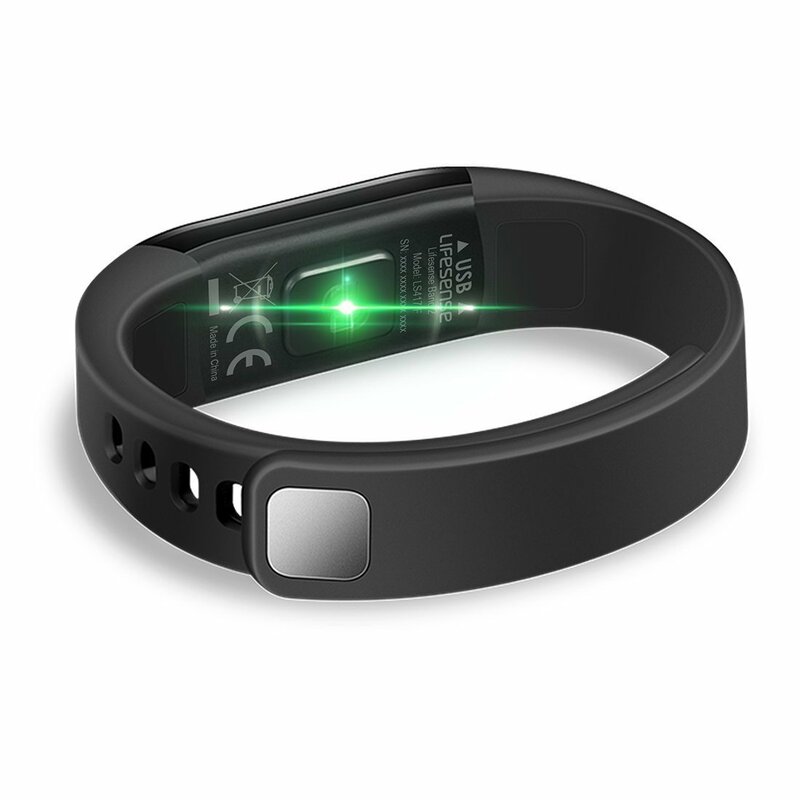 Smartbands are becoming popular due to increasing awareness about the benefits of fitness. Consumers go to gyms and can’t measure the calories burned or the number steps they actually took while exercising in the gym and it’s difficult to keep a count of those. Many of the brands in the past have come up their fitness bands which did the job well and lacked one or other feature like the Xiaomi launched their Mi Fit Band 2 which can measure the heart rate of the non-living objects as well, which we believe is some high-level technology which they have implemented. Like many of the companies, Lifesense has also come up with their own version of Lifesense SmartBand 2 which actually is pretty accurate and inform you about the steps you have taken with calories burned and the average heart beats. Lifesense sent us the Smart Band 2 along with their Smartwatch for review and without wasting any further time lets how the band fairs. On the design, aspect lifesense has really designed the band very well with the straps removable on click of a switch which makes them washable and can be cleaned if the sweat and particles get deposited on the band. The Band features an OLED Display which usually is hard to find in the smart fitness bands. The display is fair wells in the bright sunlight conditions and you will find it easy to see time and other fitness related Data on the go. The Band has a standard USB port which makes it easy for charging and makes you carry fewer cables around if you want to charge you Lifesense Smart Band 2. While most of the brands have their own proprietary charging cables Lifesense has actually made it a point to be flexible here. The Heart rate sensor is always active and doesn’t require any kind of pressure to get the reading just head over to heart rate monitor section on the Band and you are good to go. The Strap lacks locking mechanism to keep the strap aligned when it’s locked. The Band performs really well and we didn’t encounter an issue with it. The band measured the steps pretty much accurately and showed them we did compare it with other smart bands and the readings were actually low and accurate with what we had expected. At least expect it to be better than Mi Fit Band 2 which annoyingly shows a high number of steps count even at resting condition. The Bands sleep count feature lets you measure the hours of sleep you have taken during the day and night. The sleep hours can be checked through the Lifesense App that is available on the play store. The band also allows you to customize the date format and the orientation of the display. The heart rate sensor on the band has pretty amazing technology which can be observed when you hold the band upside down and see the green laser light is emitted. The notification feature lets you see the notification and vibration for the calls and text messages you receive however it lacks the ability to show notification for social or third party apps which most of the brand’s band are able to notify. The Smart Band is IP68 rated which makes it water resistant and you can go out in rainy weather without having to worry about your smartband. The Lifesense Band comes with a Standard USB port which makes it pretty very much easy to charge. The Straps have to be removed to charge which I think over the period of the time may become loose and may not give the fit which you had initially when you bought the device. The battery percentage/Level can be checked through the Lifesense App and it takes around less than an hour to charge the band. Upon full charge, the band can go on for 15 days and it may vary depending on your usage. The lifesense Smartband 2 is available as Amazon Exclusive and is being Priced at Rs.2995/- Which is just the right price for the fitness band with a bright display and heart rate sensor. The SmartBand is available to buy throughout the country through Amazon only. Lifesense smart band 2 is a great choice when you are looking for some entry level band to try out to know how exactly smart fitness bands work. The band is mostly accurate and presents the information in a clean format in the application. The band actually offers more than its price. It’s a feature rich smart fitness band which can outcast the competitors like Mi fit band 2 and fitbit.